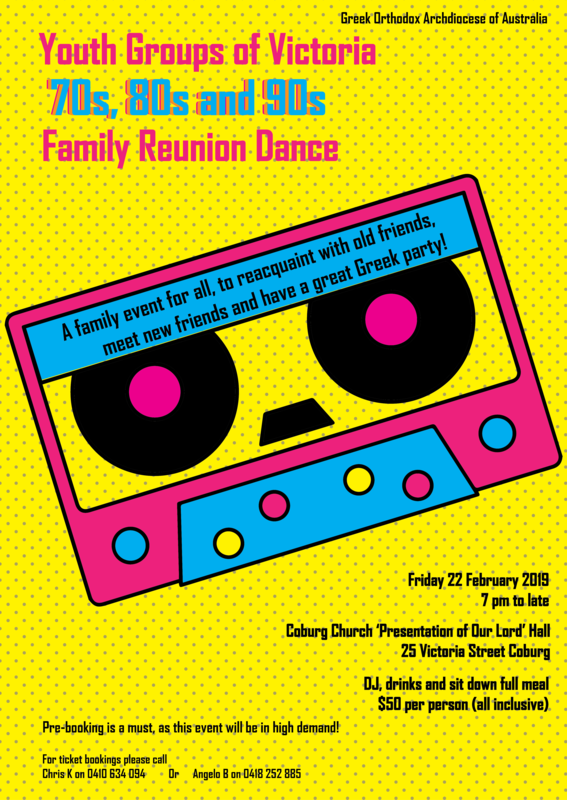 A family event for all, to reacquaint with old friends, meet new friends and have a great Greek party! DJ, drinks and sit down full meal $50 per person all inclusive. Pre-booking is a must, as this event will be in high demand! For ticket bookings please call Chris 0410 634 094 or Angelo 0418 252 885.